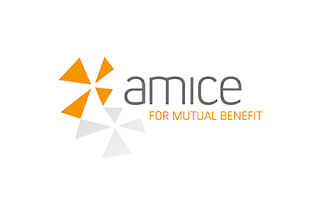 Insurers around the world sh alessio@alessiopisano.comould receive fair regulatory treatment, according to their nature, scale and complexity, a conference of mutual and cooperative insurers will hear at the second joint AMICE-ICMIF regulatory event taking place in Paris today. More than 100 delegates will hear from leading industry representatives, practitioners, global regulators and policymakers about regulatory developments impacting the insurance industry. Hosted by French mutual Covéa, delegates from the Americas, Europe and Asia will examine regulatory convergence activities and assess how well they ultimately serve the policyholder. International Regulation: From Africa to Australia, via Latin America and Europe: is a global model the best solution? Is there a global playing field in sight? The global architecture for insurance regulation: For the first time in history, the G20 meeting in Argentina included an Insurance Forum. Analysing the interplay between the global and regional standard setting bodies. Calibrating new emerging risks: From climate change to cyber, including long-term care, should emerging risks be treated equally on a global scale? Speakers at the event include: Pervenche Berès, Member of the European Parliament; Romain Paserot, Deputy Secretary General, IAIS; Dr Mamiko Yokoi-Arai, Principal Administrator, OECD; Dr Manuela Zweimüller, Head of the Policy Department, EIOPA; and Bertrand Labilloy, CEO, CCR. ICMIF CEO Shaun Tarbuck said, “This year saw Argentina hold the presidency of the G20 and, thanks to the growing recognition of insurance as a social protection mechanism to promote financial and economic stability and growth, a dedicated G20 Insurance Forum took place, for the first time ever. Together, AMICE and ICMIF represent 295 mutual and cooperative insurers in 74 countries. Members range from large market leaders to niche, affinity-based insurers – and most are small to medium sized. Find details of the Revisiting insurance regulation and supervision: Is there an optimal model? The stakeholders' views event agenda and more information here.